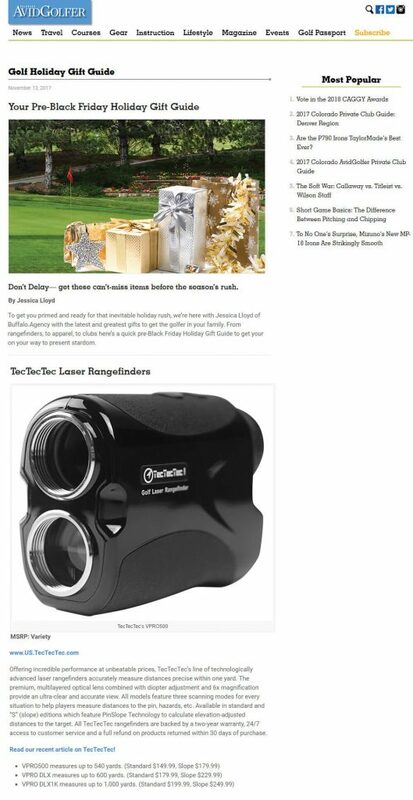 The VPRO500 has been featured on GolfWRX 2017 Holiday Gift Guide as “an excellent rangefinder at a reasonable price” along with a mention of the 20% Black Friday discount. Read article HERE . Lear More about VPRO500 HERE.